The International Network for Higher Education in Africa (INHEA) has been advancing the continent’s higher education agenda for over 15 years, through research and publication, policy analysis and advocacy, and information dissemination and data provision. Since its inception, INHEA, among others, has been meticulously navigating the international dimension of higher education on the continent in close collaboration and consultation with numerous national, (sub)regional and international actors in the sector and beyond. 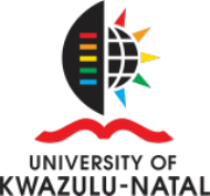 As part of these ongoing efforts, INHEA will be launching the Higher Education Forum on Africa, Asia and Latin America (HEFAALA) at an International Symposium on a theme “Inter-Continental Realities, Shared Imperatives” due to take place in Durban on August 19 and 20, 2016. The two-day Symposium, supported by Carnegie Corporation of New York, is expected to be marked by robust discussions and rigorous analyses of topical higher education issues of regional, trans-regional and international significance by leading experts from the three regions and beyond. We anticipate that this Forum will be one major international avenue and network based in Africa for deliberating on African, Asian and Latin American higher education with an eye on international trends and developments. We are delighted to share the Final Draft Programme as we look forward to welcoming participants from across the world. The Final Draft Programme could be accessed here. The two-day Symposium will be marked by intense discussions and rigorous analyses of topical higher education issues of regional, trans-regional and international significance by leading experts from the three regions and beyond. This First HEFAALA International Symposium under a theme Inter-Continental Realities, Shared Imperatives has so far the following leading panelists and speakers in higher education. Institutions which may be interested in supporting the Symposium and/or participants would be welcome. Please send your expression of interest or inquiries to teferra@ukzn.ac.za and teferra@bc.edu. More information on HEFAALA and the Symposium will be available soon.